Proceed westwards out of Reigate towards Dorking on the A25 for about three miles and turn left into Brockham Lane 200 yards past the Arkle Manor restaurant/pub. Proceed over Borough Bridge and across Brockham Green and the premises are about two thirds of a mile on the right at the junction of Middle Street and Tanners Meadow. 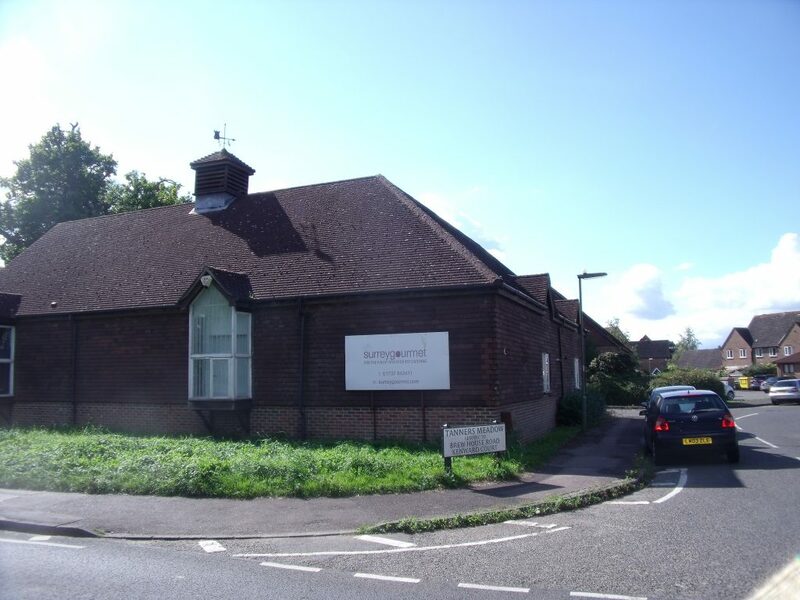 The premises occupy a pleasant village location in the Strood Green area of Brockham and form part of a courtyard development of nine purpose built commercial units known as Tanners Court, close to a doctors’ surgery and residential property. Dorking is about three miles and Reigate approximately four miles. Access on to the M25 at the top of Reigate Hill (Junction 8) is about five miles and Gatwick Airport about seven miles. The premises comprise a purpose-built business unit of brick and tile construction with tile hung elevations occupying a corner site with frontage to Middle Street. Built in the late 1980s, the unit was occupied by an auction house for many years and most recently by a catering company. Accessed by loading and personal doors from a central courtyard servicing other commercial units, the ground floor has head room of over 8ft with main open plan working area and WC. There is an internal steel staircase leading up to an open plan mezzanine floor with bathroom at first floor level. Ownership includes the front grass verge, two parking spaces/loading bay at the rear of the unit and a separate mainly creteblock area with four spaces- all shaded red on the attached location plan. Description in rating list: workshop and premises. Rates relief may apply. Each side to be responsible for its own legal costs in the transaction. By prior appointment with our office. Tel: 01737 245886 (ref MS).